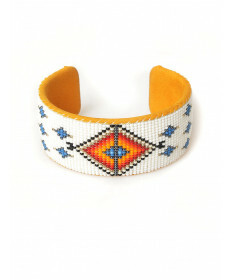 The beadwork of North American Indians is unique. 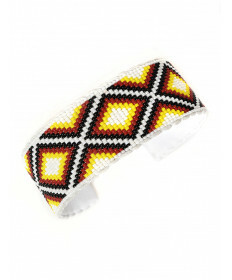 It was originally adapted from the tradition of embroidery using porcupine quills on leather. While beads from natural materials such as shell were made and used prior to the introduction of glass beads by Europeans, these glass beads with their wide variety of colors and sizes allowed for far more complex and detailed designs and patterns.